Flooding happens all over the United States. In fact, flooding has been a common occurrence lately with the major hurricanes coming in and hitting our coastlines. In Gilbert Arizona, we don’t have to worry about flooding due to hurricanes and we are quite lucky for that. However, flooding is a common occurrence in Gilbert from other types of weather. During the months of June – September, our community is often ailed by monsoons and heavy rains that cause flash flooding. How Do Flash Floods Happen? There isn’t one main attribute that is the cause of flash flooding, (aside from the water). There are two key elements that contribute to a flash flood. Intensity – how much rainfall actually falls is a key element to flash floods. If the rain comes as a slow drizzle over hours and hours, you’re not going to see flash-flooding, but if a major downpour happens during one hour, you’re more than likely going to witness flash flooding. Duration – Again, some rains can continue for hours and hours and do no damage, but one hour of heavy rain can and vice versa. You’re more than likely not going to see flash flooding if the rain downpoured heavily for 10 minutes. Soil Conditions – In desert areas that do not see a lot of rain, the soil is pretty hard and compact allowing little room for absorption of the water. When this happens, water pools up quickly and can cause flooding. Ground Cover – Certain areas of the land that have been covered by materials and will not absorb water, or do not have the proper drainage systems will cause flash flooding. Heavy rains aren’t always the reason for flash flooding, however. Flash floods can also happen when dams or levee’s fail or ice jams break. What Are The Characteristics Of A Flash Flood? Flash floods happen fast! From minutes to hours after heavy rainfall or a dam failure, a sudden release of water can start pouring in, raising water levels of rivers, streams, and lakes. These waters move fast and have the power to tear out trees, bridges, and even buildings. Flash floods take control of automobiles and boulders and will destroy everything in its path. Waters from flash floods have been known to reach heights over 30 feet. There are a few things you can do when you have been alerted of a flash flood in Gilbert Arizona. Pay attention to the radio or other local stations that can keep you up-to-date and the most recent information. 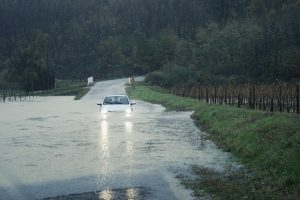 Do not drive in the direction of areas that are prone to flooding and do not drive through running water – especially near rivers and streams. Do not get in any body of water after or during a storm. It is dangerous to be in waters that can flood, but also if they have flooded they could be filled with debris and biohazard waste. If flash flooding has taken a toll on your property, call the professionals at Valleywide Restoration. 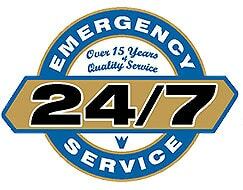 We are certified and insured to clean up and restore any property damaged by water.